Dyess Air Force Base (AFB) is located about 7 miles south west of Abilene, Texas. It covers 6,409 acres. The base hosts the 7th Bomb Wing (7 BW). Which is a unit that operates B-1B bombers, as well as hosts the only B-1B combat crew training squadron, two combat squadrons, a weapons school and a B-1B test and evaluation squadron. The base’s primary tenant organization is the 317th Airlift Group (of Air Mobility Command) that operates C-130H aircraft in support of airlift requirements worldwide. Dyess employs more than 5,000 people and has an annual economic impact of around $310 million on the local community making it the single largest employer for the area. It has nearly 200 facilities on the base and 988 units of family housing. In total there are around 13,000 military and civilians located on the base. The base is named after Lt Col William Edwin Dyess, a native of Albany, Texas, who was captured by the Japanese on Bataan in April 1942. Dyess escaped in April 1943 and fought with guerilla forces on Mindanao until evacuated by submarine in July 1943. During retraining in the United States, his P-38 Lightning caught fire in flight on December 23, 1943 near Burbank, CA. He refused to bail out over a populated area and died in the crash of his P-38 in a vacant lot. The 7th Bomb Wing is the host unit at Dyess and is assigned to 12th Air Force at Davis-Monthan AFB, Ariz. The wing is a component of Air Combat Command, headquartered at Langley AFB, Va. The wing is composed of many units working in unison to support logistic, operations, medical, and support functions and is host to 13 associate units. In a nutshell, the 7th Bomb Wing’s mission is to provide world class Airmen and air power for the warfighter. It is also charged with producing combat-ready aircrews in the Air Force’s only B-1B formal training unit. Groups assigned to the wing include the 7th Operations Group, the 7th Maintenance Group, the 7th Mission Support Group and the 7th Medical Group. In addition, the wing provides host-unit support for the 317th Airlift Group also stationed here. The 7th Operations Group is responsible for executing global conventional bombing directed by proper command authority. It is the Air Force’s largest B-1B operations group comprising 36 B-1s and more than 1,100 people assigned to its four squadrons: the 9th and 28th Bomb Squadrons, the 7th Operations Support Squadron, and 436th Training Squadron. The 7th OG combines the skill and experience of these units to provide heavy worldwide firepower at a moment’s notice anywhere on the globe. The 9th Bomb Squadron maintains combat readiness to deliver rapid, decisive airpower on a large scale in support of conventional warfare tasks. Squadron experts provide warfighting commanders with the best in operational aircrews and B-1B aircraft. The squadron repairs, services, launches, recovers, and inspects B-1 aircraft capable of sustained intercontinental missions and world-wide deployment/employment from forward operating locations. The 9th BS is the oldest active bomb squadron in the Air Force, and its most recent combat involvement was during Operation Enduring Freedom. 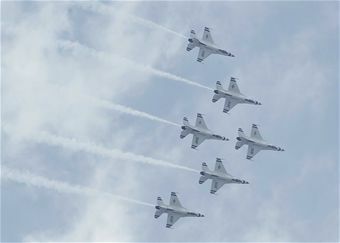 The unit flew more than 300 combat sorties during its four-month deployment in mid 2006 in support of the war on terrorism. The 28th Bomb Squadron is the largest bomb squadron in the Air Force and the largest flying squadron in the command. Its primary mission is to provide all B-1 initial qualification, re-qualification and instructor upgrade training for Air Combat Command. The squadron determines, evaluates and implements formal training requirements to qualify crewmembers in long-range day and night, all-weather and air-to-ground attack missions. Each year, the 28th trains more than 200 active duty B-1 crewmembers. The squadron also maintains conventional combat readiness supporting higher headquarters contingency taskings worldwide. The operations support squadron is responsible for B-1 combat effectiveness. The squadron directs wing flight operations, conventional mission planning, combat tactics, airfield management, aircrew training, exercise scheduling, aircraft scheduling, weapons and tactics standardization, intelligence integration, war plans, deployment planning, weather support, small computer support, simulator training, air traffic control and wing life support functions. The training squadron provides formal training to Air Combat Command using 15 schools at Dyess and 38 other programs exported directly to units for local training needs. Training includes command and control, air, ground and weapons safety, Air Force Operations Resource Management System, classroom instructor training, Air Force Mission Support System administration, mission planning cell training, life support and survival, and computer software use and development. The 436th Training Squadron also develops multimedia and formal presentations used in training program development and formal presentations. Multimedia personnel are based at Dyess, and deploy worldwide to perform their mission. Unit products and services are used throughout the DOD. The 7th Maintenance Group provides maintenance support to the bomb wing, deployed units and associate units assigned here. Five units are assigned to the group: 7th Maintenance Operations Squadron, 7th Aircraft Maintenance Squadron, 7th Equipment Maintenance Squadron, 7th Component Maintenance Squadron and 7th Munitions Squadron. The maintenance operations squadron supports the B-1 mission by managing and controlling aircraft maintenance and coordination of support to ensure aircraft availability. The unit also manages the wing’s ancillary maintenance training program. It provides scheduling and analysis of maintenance and flying indicators for wing level decisions on aircraft reliability, ensuring aircraft integrity. The aircraft maintenance squadron provides on aircraft maintenance assuring mission readiness for assigned B-1s to meet local and higher headquarter taskings. The unit manages aircraft cannibalization program and aircraft inspection programs to keep the B-1 fleet mission ready. The equipment maintenance squadron provides aircraft maintenance support for B-1B, C-130, transient and special mission aircraft. The unit is responsible for B-1 phase inspections, aircraft parts fabrication, and maintenance of aerospace ground equipment on the base. The component repair squadron performs on- and off-equipment maintenance on the B-1 and C-130 aircraft at Dyess. The squadron is responsible for the F-101 engine regional repair center, the only one in ACC, performing all major engine repairs for the B-1 fleet. Unit experts repair avionics computer driven flight control, navigation and radar/electronic warfare components. They also maintain all B-1 ejection seats and fuels systems, plus rebuild hydraulic components and overhaul selected electrical components on both airframes. The munitions squadron provides all munitions support for Dyess’ B-1 fleet. The unit is responsible for storing, maintaining, processing and preparing of all conventional munitions requirements in support of training and combat warfare tasks. The unit is also responsible for maintaining all weapons release systems. Dyess operates much like any city and is home to thousands of people. From family services to construction and security, the 7th Mission Support Group keeps the physical installation and its members performing at peak efficiency, while also preparing and supporting the base for its mobility requirements within the Air Force’s expeditionary role. Skilled craftsmen operate a power plant, water plant and wastewater treatment plant making the base self-sufficient. Units meet administrative, educational and communications-computer system requirements for the wing. Other activities include lodging, food service, mortuary affairs, and child development functions. Recreational activities such as the fitness center, library, skill centers and clubs are vital to the health and morale of the base community. The squadrons assigned to the mission support group are the 7th Logistics Readiness Squadron, 7th Mission Support Squadron, 7th Security Forces Squadron, 7th Services Squadron, 7th Communications Squadron, 7th Contracting Squadron and the 7th Civil Engineer Squadron. The logistics readiness squadron is responsible for homebase logistics support as well as mobility support of deployed forces. The squadron provides supplies, equipment, and fuel to all base units, receiving and storing more than 388,000 pieces of property, valued at over $211 million. They fulfill the base’s transportation requirements, managing and maintaining 588 vehicles, operation of the base taxi fleet, aircrew transportation, personal property shipments and recalling and training ready-augmentation-duty force personnel to support deployment exercises, inspections and contingencies. The diverse squadron provides over 4 million gallons of aviation and ground fuels to all government vehicles and aircraft. It also provides all contingency and peacetime deployment planning and execution, war reserve materiel management, base support planning and support agreement management. Security forces protect operational resources on the flight line, as well as patrol the entire base in a law enforcement role. The unit maintains a continuous presence in Southwest Asia and keeps several mobility teams in peak readiness for worldwide contingency deployment. The squadron also functions as a base and local community support agency providing services such as pass and registration, combat arms training, armory, investigations, military working dogs, and drug abuse resistance education for students. The services squadron is the most widely diverse organization at Dyess, providing more than 21 different activities for the base populace. The squadron manages programs geared to the health and welfare of the entire base. It also maintains a strong military deployment contingent providing worldwide support. The communications squadron provides communications-electronics maintenance on meteorological and navigational aid systems, a Doppler weather radar and land mobile and air traffic control radios. It also provides information systems services including computer network, telephone and mail support, and protection and planning for all communications and information systems. The squadron also provides visual information services to include graphic, photographic and video support. The contracting squadron solicits and awards more than 20,000 contracts worth more than $35 million annually. Unit experts are responsible for handling contracts covering operations and maintenance construction, services, supplies, and environmental contracting for the wing including all deployed units and forces. The staff also provides emergency contracting operations during global contingency deployments and responds to support combat missions worldwide. The 7th Bomb Wing staff includes the wing operations center, plans, judge advocate, public affairs, protocol, anti terrorism, manpower, chapel, treaty office, safety, history, comptroller, military equal opportunity, Air Park and visitor’s center, honor guard, wing administration and wing career advisor. The wing inspector general’s office handles all wing inspections, exercises, IG complaints and fraud, waste and abuse allegations. Licensed military attorneys and professional military paralegals staff Dyess’ legal office. They provide services such as legal assistance on such matters as wills, powers-of-attorney, domestic affairs, landlord/tenant issues, Soldiers and Sailors Civil Relief Act issues, consumer issues, and tax assistance. The 7th Medical Group provides personalized health care through five military TRICARE Prime teams staffed by board-certified family practice physicians, flight surgeons, pediatricians, internists, general medical officers, physician assistants and nurse practitioners. The facility boasts specialty clinics for optometry, mental health, and general surgery. Additional services include immunizations, laboratory, radiology, physical therapy and pharmacy. 317th Airlift Group The 317th Airlift Group moved from Pope AFB, North Carolina to Dyess AFB on April 1, 1997. Made up of the 39th and 40th Airlift Squadrons, 317th Operations Support Squadron, 317th Aircraft Maintenance Squadron, 317th Maintenance Squadron and the 317th Maintenance Operations Squadron, the group is in the process of converting from 33 1970 era C-130H aircraft to 28 new C-130J-30 stretch version Super Hercules transport aircraft. The conversion is expected to be complete in August 2013. The 317th was one of the first troop carrier groups formed in World War II and saw extensive service in the Pacific. A few of the group’s more noteworthy achievements during the war included: the dropping of 1,800 paratroopers on Nadzab, New Guinea, in the first mass airborne assault in the Pacific theater; two paradrops during the Philippine campaign; and being assigned to the Occupation Force of Japan. These efforts earned the group two Presidential Unit Citations. During the Berlin Airlift, the 317th transferred to Weisbaden, Germany, and made 28,830 trips into the blockaded city carrying 290,000 tons of supplies. In 1952, the group was equipped with C-119 flying Boxcars and became the first U.S. Air Force unit to be assigned to the North Atlantic Treaty Organization. During one NATO exercise, the 317th flew 1,350 hours in four days, airdropping 1,450 troops into Denmark. In 1957 the group moved to Evreux-Fauville Air Base, France and began its conversion to the C-130A Hercules. In 1964, the 317th returned to the United States for the first time since World War II. The group moved 4,042 miles in the 52 assigned C-130As with 2,722 people and 1,853 tons of equipment to Lockborne AFB, Ohio. In 1965, the group earned the Air Force Outstanding Unit Award for its participation in the Dominican Republic Airlift. The group’s squadrons began rotational tours to Southeast Asia and took part in numerous combat actions, including the resupply of U.S. Marines during the siege of Khe Sanh. From 1971 through 1993 the 317th operated out of Pope AFB, North Carolina. The 317th was the lead C-130 unit that developed and tested the Adverse Weather Delivery System (AWADS) equipment in combat operations in Southeast Asia. In 1983, the 317th led the airborne invasion of Grenada during Operation URGENT FURY inserting US Army Rangers onto the heavily defended airport. The 317th flew airdrop missions during the 1989 Operation JUST CAUSE invasion of Panama and deployed for eight months to the Middle East in 1990-1991 for Operations DESERT SHIELD, STORM and CALM, the liberation of Kuwait. In 1992, the 317th flew humanitarian airlift missions to Bosnia for Operation PROVIDE PROMISE and Somalia for Operation PROVIDE RELIEF. At Dyess, the 317th’s tradition of excellence continues. On a daily basis, the personnel of the 317th fly men and women, equipment and supplies all over the world to support the far-flung military obligations of the United States. They also take part in numerous Joint Chiefs of Staff exercises to develop and refine the skills required to respond rapidly to any contingency. In addition, the group is often involved in humanitarian disaster relief and emergency evacuation of American nationals from troubled areas of the world. Following the terrorist attacks against the United States in September 2001 the 317th deployed to combat operations in Afghanistan in October 2001. After a brief return to Dyess AFB in October 2003 the 317th again deployed on 20 December 2003 to support Operations IRAQI and ENDURING FREEDOM operations. On 7 March 2012, the 317th surpassed 3,000 of continuous deployment in support of USCENTCOM combat operations. The 317th continued its deployment schedule in the midst of its aircraft conversion from the C-130H to C-130J as well as responding to humanitarian crisis around the world such as the Haiti earthquake of 2010. To provide world class Airmen and air power for the warfighter.